Fully-Renovated single family home close to beach & town! 3 bedrooms, 2 bathrooms, sleeps 6. Xfinity wifi throughout the home. The master bedroom has a queen bed, flat-panel TV, and bath with shower. The second bedroom has a queen bed, and the third bedroom has two twin beds. The kitchen includes a dishwasher, gas stove, and refrigerator with ice-maker. Enjoy a week or more at this great home! 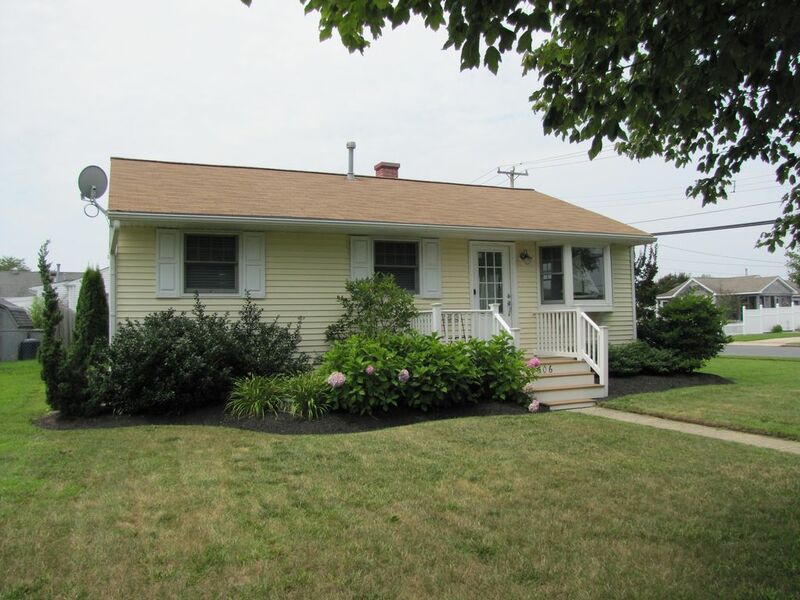 A Beaches End Properties of Cape May rental! : Ron and Kim Tupper, of Beaches End Properties of Cape May, have been successfully renovating and renting homes in Cape May since 2000. Many of our guests return to one of our properties every summer! Ron & Kim Tupper bought their first Cape May house in 2000, and have since bought and renovated 10 more homes here in Cape May. Married more than 28 years, we and our two kids spend nearly every weekend of the year in Cape May, our favorite beach town! Our weekends in the off-season find us busy renovating, building, and putting our personal touches on every one of our properties so they are welcoming for every one of our tenants. Each weekend in the summer, we personally check on all of our properties between rentals, take care of the lawns, meet our new guests for the week, and make sure our tenants are all comfortable before we head to the beach for some sun and fun! Kim grew up coming to Cape May for a week each summer, and then when we moved to Pennsylvania, we found ourselves in Cape May for a weekend each summer while we performed with the Chester County Concert Band (before we had kids of course!) We knew we wanted another place to call home, and Cape May was an easy decision. We bought this home in 2007 as it fit our model perfectly - it was close, had a great yard, and was in need of renovation! Beautiful home, excellent layout, nice kitchen; we appreciated that it was spotlessly clean upon arrival. We moved in and felt right at home. It was a pleasant walk to the beach. Off-street parking was great. The owners were wonderful to deal with. Our security deposit was returned as promised. Thanks to the owners for providing a nice rental property for people to enjoy! This rental is a very comfortable home with an excellent kitchen. I appreciated the decor which is void of kitschy seaside clutter. Another aspect greatly appreciated are the large closets. The location is convenient to all that Cape May has to offer. We enjoyed taking in the sites by bicycling all week long, including trekking out to Sunset Beach. The owners were helpful and pleasant. I would definitely rent from them again. This house made for a very comfortable week on beautiful Cape May! The house is exactly as pictured. It was very clean and very comfortable. The location is great--easy access to the beach and town, and in a quiet neighborhood. The owners responded to our questions quickly and were easy to deal with. We will be back! This house was exactly as pictured in the photos; new, clean and beachy! We have stayed in Cape May several times over the past 10 years, at various hotels and rental properties. This was by far the nicest place and the best value for our money. Owners were easy to deal with and we would absolutely rent again, thank you for adding to our wonderful Cape May vacation. As is customary in Cape May, travelers bring their own sheets and towels, or can utilize one of the linen rental services available on the island that delivers.